The Desolventizer-Toaster (DT) is a vertically oriented cylinder with multiple trays that are steam, hot water or oil heated. 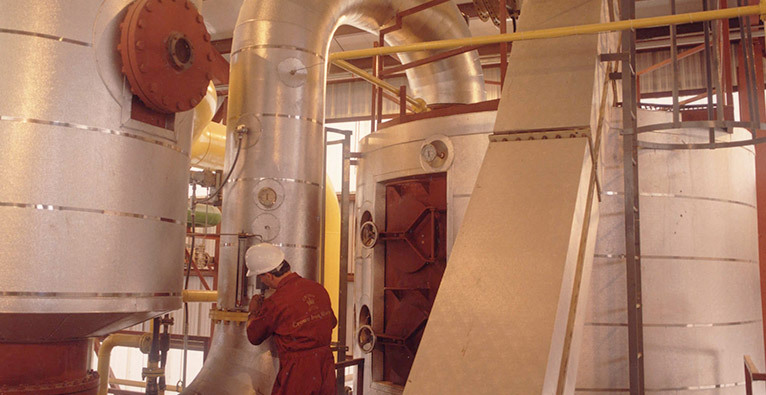 The DT employs indirect heat transfer to desolventize ethanol, hexane or other solvent-wet products and completing the toasting operation on a low-cost basis. When the product allows, we can also introduce steam into the DT and combine direct and indirect heat transfer, thus reducing the overall equipment size.